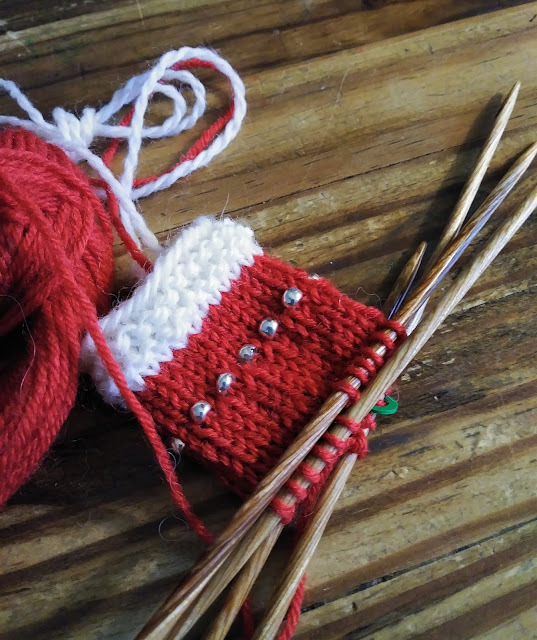 So, I haven't been blogging much lately but I have been knitting. 1. I have knit nine of those. I'm not naming them yet but you can probably figure out what they are by looking back at this post and this one. They differ in color because I used yarn scraps out of the stash pile. 2. 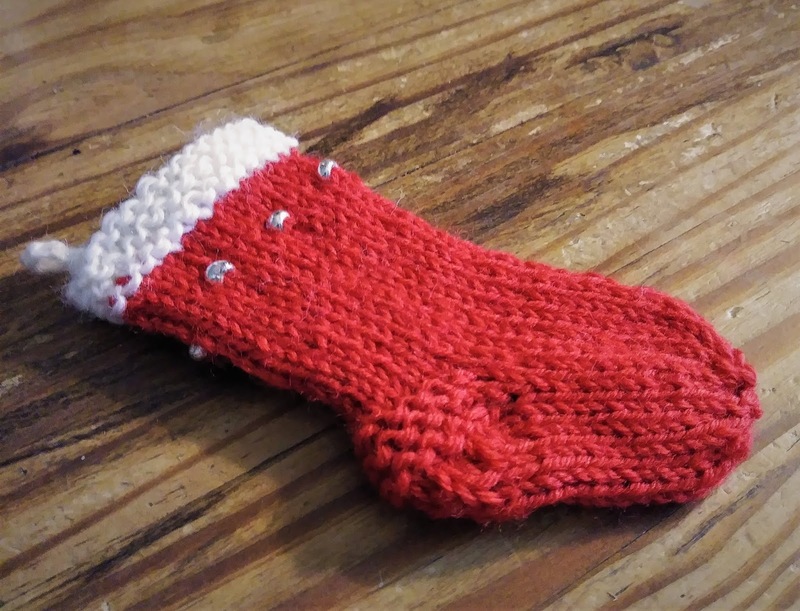 And I've knit eleven mini stockings, each one slightly different from the next. Only seven more to go. This is one of those projects that I wish I'd never thought of. I'm too far into the project to abandon it yet feel like I have oh so far to go before I finish. 3. 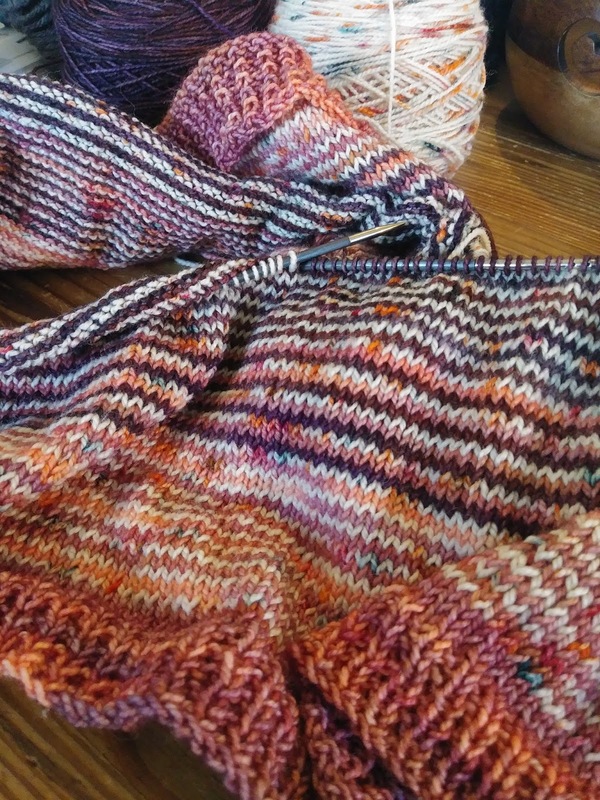 I've also been knitting stripes. This is another unnamed 'thing' that you can probably figure out what it is if you look hard enough. It's also one of those projects that I'm tempted to keep for myself. Very, very tempted. I LOVE project #1!!! Very clever. :-) And the stockings are darling -- but I know just what you mean about wishing you hadn't started. I'd want to keep the stripes for myself, as well. Just sayin. I've no idea what your projects are (other than the little stockings...duh), but they all look great and I would definitely keep the stripes!! I cannot guess what your projects are, but they are beautifully done. I love the look of the Hawthorne yarn. I just got it!!! F-bombs!!! Bwahahahahaha!!!! You are too funny. you are quite productive! 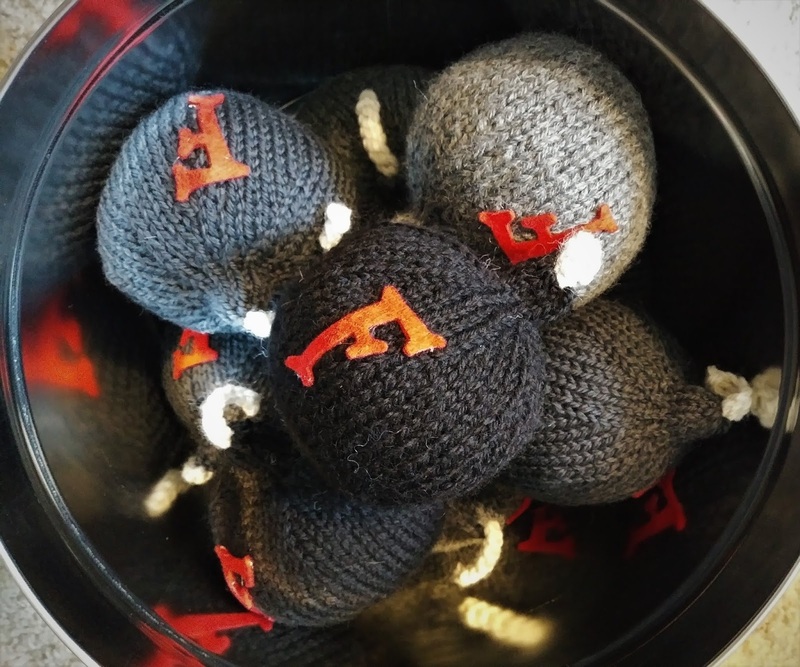 I love the xmas balls - I've never knit them before.